Abstract: Rapid advances in SSL (Solid State Lighting) materials and optimization of light extraction from inorganic (GaN based) and organic (OLED) devices led to a dramatic increase of light output and lifetime. Moreover, the use of micro-processor controlled electronic power supplies, made possible simultaneous operation of various color LED's, to achieve constant color (i.e., CCT) throughout device life. The fundamental physics and chemistry of SSL devices are presented and compared to "classical" light sources incandescent, compact fluorescent and High Intensity Discharge types. The current "hype" regarding LED light-bulbs will be discussed. 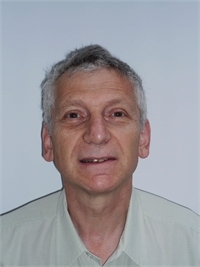 Biography: Dr. Nanu Brates is a Senior Scientist at Panasonic Boston Laboratory - ULT where for the past 11 years he has worked on various aspects of High Intensity Discharge lamps, from the physics and chemistry of Metal Halides plasma discharges to the lamp-ballast system interactions. His research covers a wide array of discharge lighting categories including General Lighting and special light sources for LCD/DLP Projectors and for Automotive HID applications. More recently his research is focused (pun intended!) on Solid State Light Sources such as high brightness LED’s and organic LED’s (i.e., OLED's). From 1983 to 2001 he held various research and engineering management positions in OSRAM-Sylvania where he was involved with the research/development and manufacturing of Metal Halides Light Sources. He has co-authored more than 20 papers in refereed journals and conference proceedings and holds over 20 patents. He received his BS and MS in Electrical Engineering from Polytechnic Institute of Bucharest (Romania) and his PhD in Plasma Physics from SUNY.